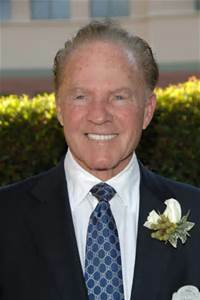 September 3, 2015 - Bill O'Shaughnessy, owner of Westchester radio stations WVOX and WVIP, shared with his good friend Lou Schwartz, President of ASA, the following exclusive interview he did with "Monday Night Football" broadcaster and New York Giants great Frank Gifford. Gifford and O'Shaughnessy had a friendship that went back to the days when the two hung out at Toots Shor's fabled saloon and O'Shaughnessy shared an office at the legendary WNEW Radio with Frank's teammate and pal, Kyle Rote. “I was a ‘woodshop major’ in Bakersfield High School when the coach Homer Beatty decided he would make a football player out of me." "I was standing out at Griffiths Stadium in Bakersfield that Friday night. It looked like the LA Coliseum to me. It was against Covina ... and I was so scared … I don’t even remember if we won the game." "I never knew a rich kid who played football. If they weren’t playing football back in Bakersfield … they would have been in the oil fields." "I literally wound up on a ‘Trojan horse’ at USC." "My first contract with the New York Giants was $8,000. And my wife was in the hospital at the time. And I needed an extra $200 to get her out. I got Mara up two hundred dollars. And that’s how I got my signing bonus … from Wellington Mara ... $200!" "Wellington Mara delivered my first contract to me. Years later, when I went into the Pro Football Hall of Fame, he was my speaker. And when he went in, he asked me if I could speak for him." "We were there when the Maras were struggling. They paid $2500 for the Giants franchise. Wellington bought it because Tim Rooney’s father – Art Rooney of the Pittsburgh Steelers fame – thought this would be a good deal." "In 1953, my second year, we weren’t even sure we were going to get paid. We heard they were going bankrupt and I was wondering how I was going to get back to Los Angeles with my wife." "It was the first game to be televised live across the country. The incredible, increasing audience was growing as we went into overtime for the first time ever. That was the real Birth of Pro Football on television." "I made a judgment that Cody was not going to play football at USC. He had committed to go to the Film School there. He’s six-four and 220 pounds, but I didn’t want him to play …"
"Is there danger playing pro football? Yeah! And a lot of it!! But driving to the game is probably a helluva lot worse than going out on the field." "We were organizing because we were playing five exhibition games and not getting paid for them. Our first demand was for $25 a week … and ‘laundry money.’ We had to clean our own uniforms." "This is a great sport. It has problems. It has injuries, but it’s a great sport. There should be some reasonability on either side to sit down and talk." "I’m afraid future demands are going to get angry. And I think the NFL is headed in that direction. I wish they could reason it out."